Are you looking for a shredder which is quiet? Safe for all the family and does the job quickly? Before I moved out of my parents house my Mum used to shred every document in sight. Anything that contained any personal details, addresses or information about our family would be shredded however since living on my own with Ben and Max, I rarely bother to shred any documents due to having a noisy small shredder which often got jammed. A few weeks ago Fellowes sent us their Powershred 73Ci for me to try. Putting it together was easy and stress free. It took less than 5 minutes to put together without reading any instructions however it did also include a manual, just in case I needed the extra help. Once up and running the first thing I noticed was how quiet it was. Normally the noise of a shredder would scare Maxwell however the low hum of the Powershred 73Ci kept his little ears happy and he was able to continue playing with his musical toys without being distracted. The Powershred 73ci Cross-Cut Shredder is incredibly easy to use. The shredder features a touch screen on the front of the shredder which shows little symbols. The symbols are self explanatory, there is a power button, and reverse button, and a forward button. When the shredder needs to alert you to something such as too much paper being fed in, or the bin being full, some symbols light up red. The shredder is 100% jam proof technology so you will never have the issue of having to pull half shredded paper out of a shredder which can be annoying and messy. The shredder electronically measures the thickness of the paper you’re shredding and adjusts the power necessary to shred it. A few times I was denied being able to use the shredder as I was trying to add to much paper in to it. This shredder will cross-cut 12 sheets into approximately 397 particles. It will also cut right through credit cards, CDs/DVDs, staples and paper clips. My favourite feature is the Safe Sense technology which the shredder features. If I did not have Maxwell around the house this may not be so impressive however Maxwell is the type of child who loves to explore and help. I often worry about him getting injured however with the powershred I do not have this issue. If Maxwell is to put his hands near the shredder, it senses his hands near the paper opening, it shuts off and a little orange light lights up. The bin is large at 23 litres meaning that it is able to eat a lot of paper before you have to chuck the contents of the bin away. The device is also eco-friendly. The energy saving system reduces the energy consumption as it powers down after periods of inactivity. 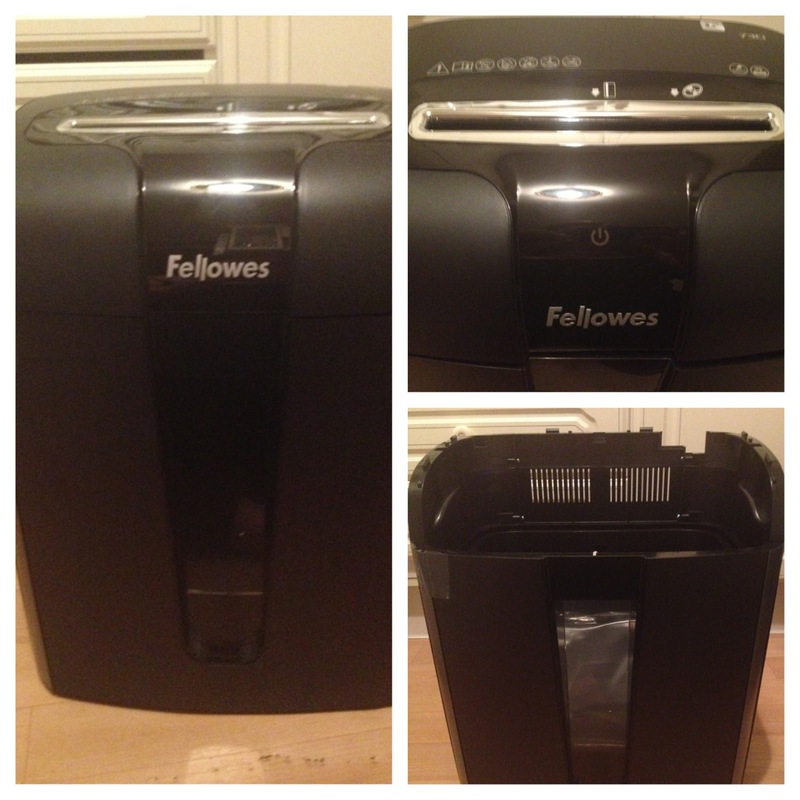 For more information on the Powershred 73ci Cross-Cut shredder please visit Fellowes website. You are able to purchase the Powershred 73ci Cross-Cut shredder on Amazon, Langstane, monkeyoffice.co.uk, caboodle and mossyoffice.com.